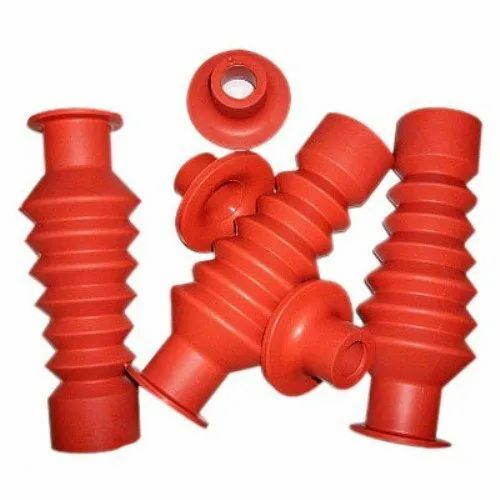 Prominent & Leading Manufacturer from Vadodara, we offer flexible bushing boot. The Flexible insulating boot is cold applied boot to provide increased insulation between phase to phase and phase to ground for medium voltage switchgear and transformer cable boxes where the air clearances are not sufficient for normal operation and to prevent electrical flashover due to high humidity or rodents. The boots are manufactured from a highly insulating and anti-tracking silicone rubber-based material with excellent insulation properties and weathering properties for a durable long life installation. The boot allows fitting over standard heat shrink or cold applied terminations. The boots are installed easily without a special tool. · Suits bushing diameter Range from 46mm – 70mm. · Special Collar applied suit for smaller bushing diameter 31mm – 45mm. · Removable & Re-installable for convenient maintenance.